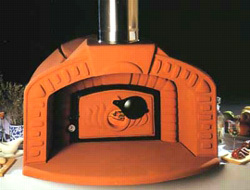 Armstrong Brick Ovens offer a range of domestic modular pizza ovens constructed from both refractory material and brick. 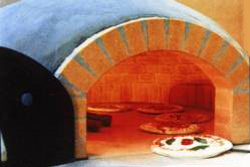 Built by skilled craftsmen and artisans at Italy's premier pizza oven producers, each of our ovens features a circular dome, enclosed refractory baking floor, vent and chimney manifold, insulating blanket, oven tool set, and door. 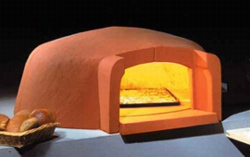 Unlike the old-fashioned "clay" or "terracotta" ovens, both our residential and commercial ovens are constructed from sophisticated, high-tech refractory materials. Every Armstrong Brick Oven heats up faster, holds heat longer and is more durable than any other pizza oven available. Our ovens can be installed either outside or indoors, in a range of design styles. If you are looking for a fully assembled oven, check out the toscana ovens.